Naim Label – the record label division of audiophiles' favourite Naim Audio – is launching a new online shop for fans of the highest possible quality sounding music next month. 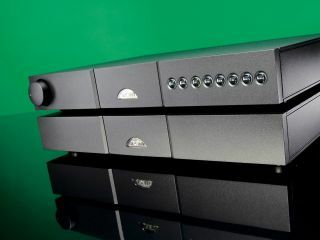 Naim's new online high def music shop is set to open on 18 May offering access to thousands of fully uncompressed, DRM-free, 24bit WAV files and 320kbps MP3 files. Naim is, as would be expected, targeting "the more discerning music buyers" that don't mind paying a little more than what the mass market online shops over at Amazon, iTunes and the likes of 7digital are charging, because they "get a lot more out of it". And at 99p per track, it is hardly going to break the bank. Naim is keen to stress that CD quality (16bits deep) is lower than its HD native WAV files (24bits deep), with tunes due to be priced from 99p per track. If you want to check out the quality difference for yourself then you will be able to download US singer/songwriter William Fitzsimmon's debut UK single Everything Has Changed in full CD quality (in either FLAC or WAV format) from www.naimlabel.com on 18 May.